In 2004, Grace Kim and her husband, Mike Mariano, two young Seattle architects, spent two months in Denmark studying cohousing, a style of community development that the Danes pioneered and which has been growing in this country since the 1990s. Cohousing’s potential had long intrigued Kim. But after seeing how it worked in Denmark, she wanted in. “We would be having breakfast, and Olga, a 75-year-old woman, would be coming back after kayaking for two hours. The teenagers, instead of mumbling answers to questions, would sit with us [adults] and want to talk about whatever we were talking about,” Kim recalls. 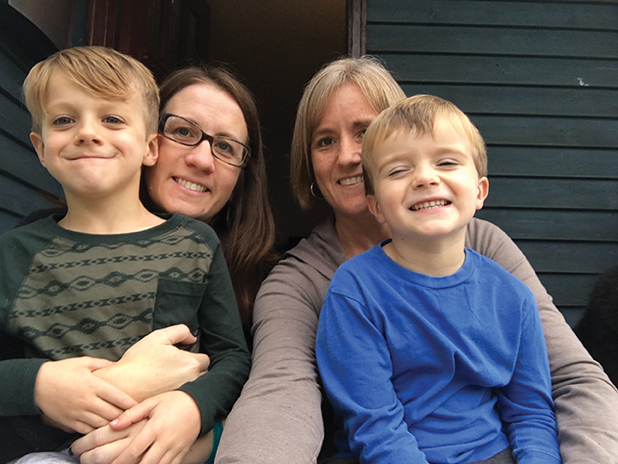 She felt that cohousing­ — designed as multigenerational communities where families have private residences but share common spaces, meals and property management — offered a different framework for not just raising kids, but for every stage of life. Flash forward 12 years, and Kim’s family, which now includes a 9-year-old daughter, recently moved into Capitol Hill Urban Cohousing, a five-story apartment complex on 12th Avenue on Capitol Hill with nine family-size units built around a courtyard that Kim describes as the community “hub.” The property, owned in equal shares by all nine families (28 residents total, including 11 kids), took eight years to develop, design and build to the highest standards of energy efficiency and livability they could afford. Kim and Mariano’s architectural firm, Schemata Workshop, led the design. Sharing housing is an idea that’s as old as civilization, but since the end of World War II, the predominant housing form that American families have aspired to has been the detached single-family home. While that may have made sense in an era when many mothers stayed at home and baby-booming neighborhoods rippled with children, in today’s era of skyrocketing housing costs, climate change concerns and radically different family structures, that ideal doesn’t always match the needs of families (and isn’t affordable for many). What’s the alternative? 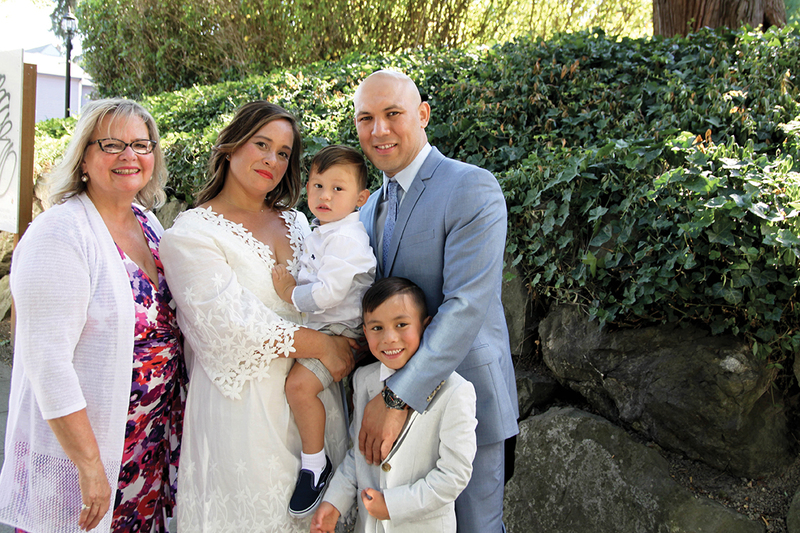 One solution that a growing number of Puget Sound–area families are drawn to is cooperative living, from formal cohousing communities like the one Kim and Mariano founded to shared-space living with friends or family. While sharing isn’t always easy, the rewards can be sweet: a built-in community; shared child care and meals; a greener way of life; and a buffer of social capital. And in some cases, cooperative living can lower housing costs in a region that is leading the country in home-price growth, as The Seattle Times reported in November 2016. Amelia is 18 now, as is Bansenauer’s son; they were among the first group of kids to be raised in Songaia, which established itself in the 1990s and eventually built six duplexes (13 units total) on the property as well as other shared facilities include a permaculture garden, Cobb oven, woodshop, pottery studio and spacious common house. The 40 residents range in age from 8 to 80-ish. Kids play all around the property, which includes a tree house and trails that wind through second-growth Douglas fir. Cars are parked on the perimeter, enhancing safety for kids and an old-school style freedom to roam. The Steins rent but are fully integrated as Songaia members, which means they participate in regular meetings, are part of teams that run the property and have the option of buying into a meal plan. 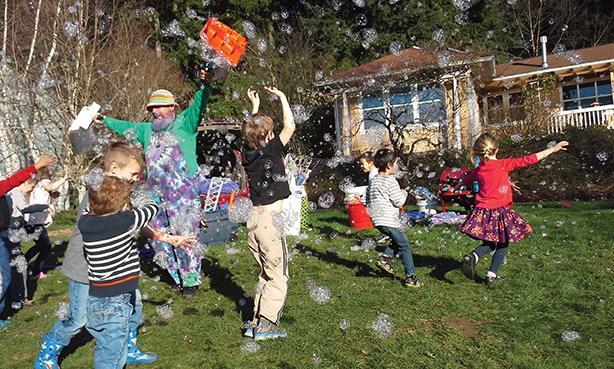 Since 1990, 22 cohousing communities have been established in the greater Puget Sound area, according to The Cohousing Association of the United States; six of those are forming now (meaning they don’t yet have a home). 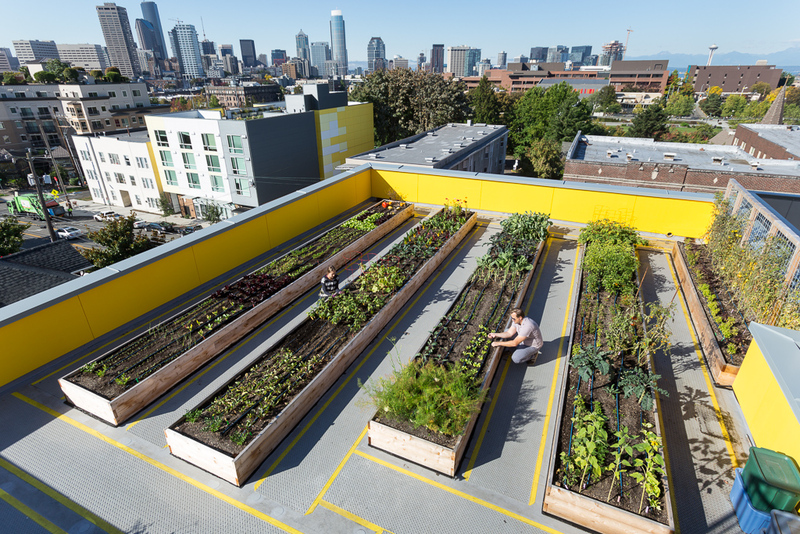 Some are rural or suburban, like Songaia or Winslow Cohousing on Bainbridge Island; some, like Capitol Hill Urban Cohousing and Jackson Place Cohousing, are fiercely urban. Jackson Place, which opened in 2001, is located in the north end of Seattle's Rainier Valley, one block off Rainier Avenue, on a piece of former city property that was once slated to be a highway off-ramp. The city was happy to sell the nascent community the land, but “we felt like we were taking a huge risk,” says Cameron Curtis, who bought into Jackson Place with his wife, Leah Schoonover, in the initial stages. The risk has paid off: The community of 27 units, designed as shared-wall townhomes (a typical size is 1,500 square feet with three bedrooms) is flourishing. Like many cohousing communities, its legal structure is that of a condo association, but, “We do what no condo association does: We’ve developed ourselves,” says Curtis. Over the years, they’ve paved walkways, added play areas and upgraded amenities. Cohousing proponents are the first to admit that the semi-communal style of living and attendant responsibilities is not the right fit for everyone. “People need to know what they’re signing up for,” says Curtis. “There are people who move in and then find out that engaging in community with neighbors is hard.” And if you invest in a community’s starter phase, as opposed to buying in later, it can take years before the move-in date. Cohousing communities have also struggled to live up to their own values regarding diversity and affordability — a unit may sell at market rate or even above. But as interest grows, innovations are happening. 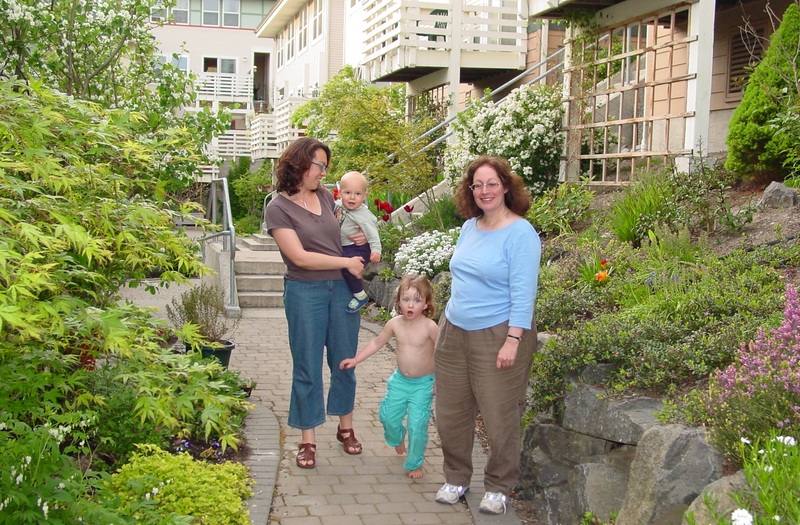 For example, led by Kim, who has studied cohousing around the world, Capitol Hill Urban Cohousing designed a legal structure that tilts toward affordability instead of investment: Families pay $30,000 to become members and then pay a monthly rental fee, which starts at market rate but will not increase over time. And two of the units are offered at below-market rents. “We wanted to make it affordable to a schoolteacher or social worker,” she says. On a Sunday night in a large, blue two-story house in the Pinehurst neighborhood of Seattle, doors slam and feet clatter up and down the red staircase that connects two floors and two respective separate residences. Jackson, a tall, dark-haired, almost 15-year-old, and Alice, an energetic 9-year-old, play Legos for a while on one floor, then head downstairs to say hello to a visitor, then go back upstairs to make chocolate milk and fizzy lemonade. The two couples — all of whose names are on the mortgage, which means they’re all 100 percent liable — developed a written agreement that helps guide the breakdown of duties (as well as what would happen if one family decided to sell), but much has evolved naturally. Often, two members of the couples will team up on a house project. “We joke that if we split the couples up, there is less fighting,” says Holmes. They have shared traditions, such as “Zansgiving,” summer parties and a serious commitment to having the best Halloween decorations in Pinehurst. Holmes, a career coach and project manager, says that while this was absolutely a path to home ownership for them, it’s much more than a housing solution. The phrase that comes up a lot is “reset button.” As 9-year-old Alice says, “I have more options. In a neighborhood in Burien, two families have teamed up even more closely to own a home and raise kids. About 3.5 years ago, Julia Landa, a schoolteacher, and her then husband decided to divorce. Divorce, of course, can radically escalate your housing costs. But Julia chose to move in with her sister Anna Landa, a city health manager, who was raising a son on her own. They were close and had experience living together; and with each raising an only son, it seemed like a “no-brainer,” says Julia. They rented for two years, and then bought a two-story, three-bedroom house together. Although there was “a huge financial benefit” to be able to buy a home together, that was just one factor. “It was mostly about creating a kind of a home together and creating a support system,” says Anna. They divide expenses evenly, share cooking and are there to help with last-minute child pickups and coverage. “There are days when we don’t have deep conversations, but we are having breakfast together,” says Anna. And their kids, now ages 4 and 7, get a sibling-like experience of learning to get along, while each also gets some time as an only kid. It’s not perfect, but it works. “Anna and I don’t get along all the time; we have to work to figure out how to compassionately communicate with each other,” says Julia. The age-old version of cohousing, of course, is to move in with extended family, which can be a lower-risk way to share community and costs. Four years ago, Kalayaan Domingo, a public health professional, and her then boyfriend (now husband) moved from the small townhome they owned in Ballard into her mother’s house on Queen Anne, a three-bedroom, three-story residence with a yard big enough for a soccer goal. Their townhome was proving too small for their growing family — they had a 2-year-old son, and were planning their second child — but they couldn’t afford a bigger home in Seattle. “The sacrifice of moving to a neighborhood we could afford would mean leaving behind the community that we want to be close to while our kids are still young,” Domingo says. They had lived with friends and family members before, so it seemed like a natural step. “Intergenerational living is widely done and accepted in the cultures that we belong to, Filipino and Salvadoran,” she notes. It’s been a win-win. Domingo’s mother provides an extra set of hands — especially helpful as Domingo’s husband has worked night shifts, while her mother, who travels for work, feels more secure. The challenges of shared-space living can also be its rewards. “It’s a good experience for [the kids] to understand that the things they do impact others,” she says. The Cohousing Association of the United States lists openings in new and established communities. Each community has different expectations as far as investment, responsibilities and meal sharing. 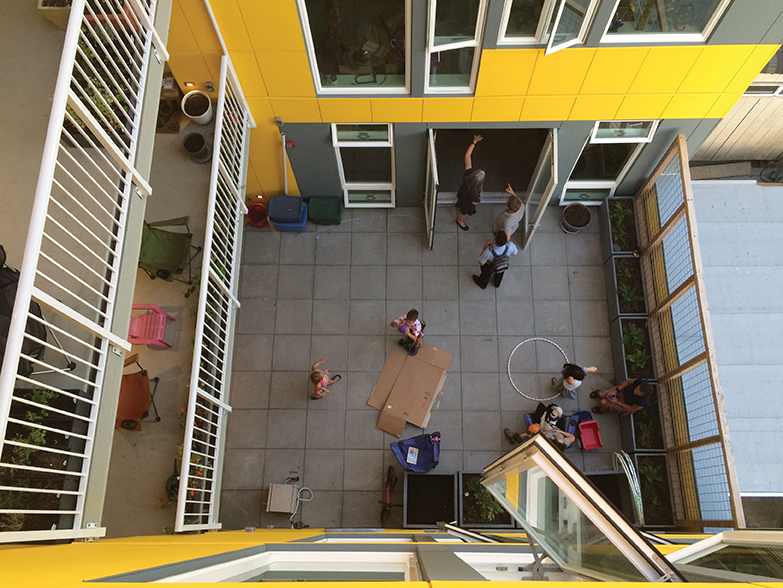 Look for associates programs that let families “try on” cohousing. Songaia is working with adjacent developments in fast-growing Bothell to incorporate community-building elements. 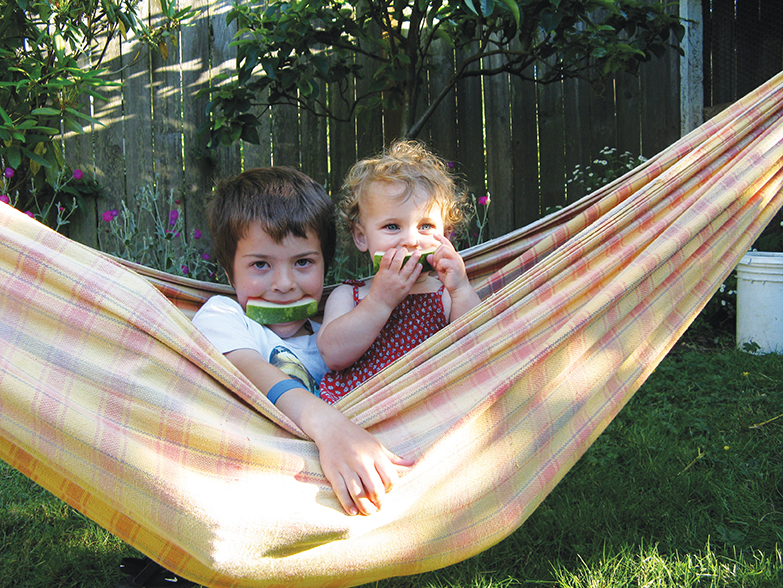 Find out more about Capitol Hill Urban Cohousing at and Jackson Place. Nolo has articles on the legal aspects of sharing or owning homes with friends. Experts recommend developing a written agreement, ideally drawn up by an attorney, that outlines expectations regarding expenses, property management, parenting and an exit plan. Look for a real estate agent and mortgage broker with experience in multifamily home ownership. All together now: Not quite ready to share a home? Share these instead. - Play in the streets. 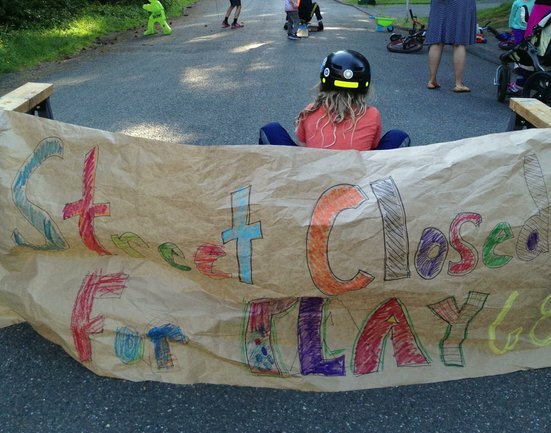 The City of Seattle has a “Play Streets” program through which neighbors can apply to shut down streets to vehicle traffic during the summer. - Celebrate. Seasonal celebrations, such as a pie social, block party, cider press and an annual progressive dinner, connect neighbors all year long. - Set the table. See if neighbors want to share a meal one night a week and take turns cooking. - Share kids. Start a neighborhood child care co-op. - Share books. A Little Free Library is a fun and simple way to bring people together; or do your own version. - Share a yard. Knock down a fence or other barriers and collaborate on play areas and gardening. - Be out front. Install play features, picnic tables or an edible garden in your frontyard. j- Read Playborhood, a blog and a book that are chock-full of ideas for connecting neighbors and kids.